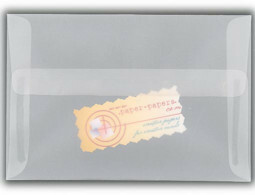 As with all our manufacturers' collections, the "A" style envelopes come in a wide assortment of colors and styles. You might want your A-9 envelopes to have the trendy Euro-flap, which is the Baronial envelope with an extra large flap that almost reaches the end of the envelope. Like all our wholesale envelopes, they'll catch the eye of the recipient. Whether for a long heartfelt letter or a birth announcement, A-9 envelopes can accompany your celebrations and your news. Since the invention of paper people have been communicating through writing. In fact, even before paper, people would draw on cave walls as a way to record thoughts and feelings. Imagine the time it must have taken the Sumerians to scratch out messages into heavy clay tablets. Wood, stone, cloth, clay - every possible surface was tried. Expressing ourselves through writing became the center of civilization for hundreds of years. We've been sending each other messages since the beginning of time- any way we could. Today we still send each other messages, but our choices are much broader. They are also much lighter than stone and not likely to get eaten by termites! You'll find our wholesale envelopes offer any sort of presentation you and your customers are looking for. As long as we continue to write love letters, letters to Santa, letters of resignation or "just to say hello letters", we'll want to wrap our gifts of communication in something special.